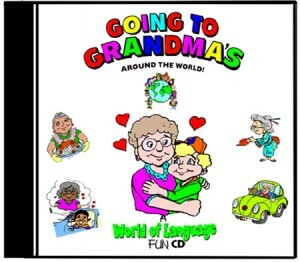 World Kids Press are known publishers of award-winning World of Language Sing, Color ‘n Say™ Audiopacks and Videos, introducing kids to the concept of different languages and people around the world with music, reading, and coloring fun! 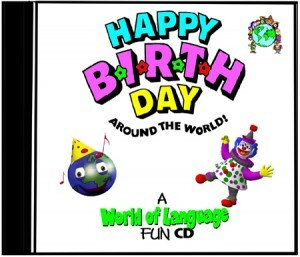 World Kids Press began publishing their unique series, “Sing, Color ‘n Say™ World of Language” Audiopacks in 1992, expanding into video with their award-winning, Emmy-nominated animated “Going Grandma’s Around the World” in 1999. 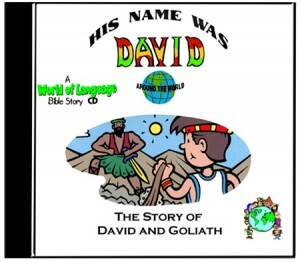 We have also distributed children’s (and adults) single-language learning materials, including: audio, video, CD-rom, books, etc. for children’s learning in many different languages, including hard-to-find languages like Greek, Arabic, Polish, Korean, Hebrew, etc. as well as Spanish, Japanese, Chinese, French, German and other more standard languages. All video products are available in DVD or VHS. All audio products are available in CD or audiocassette. 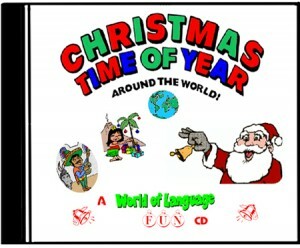 Around The World and various other titles also available for instant download. Click the CD above to hear samples of each original title! 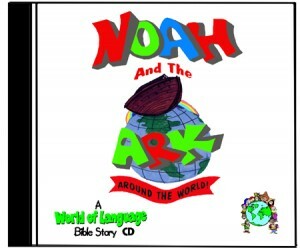 A collection of CD’s, DVD’s and activity books to learn about languages, cultures and bible stories too! Introducing kids to the concept of different languages and people around the world with music, reading, and coloring fun!